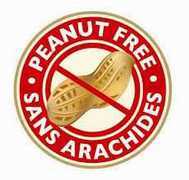 Please be aware that a member of our school community has a severe allergy to tree nuts. Even though all of our schools are nut-safe, we sometimes let our guard down or forget that members of our school community have life-threatening allergies. The specific allergy in this case is to tree nuts. A snack package that has the symbol linked to this news item does ... Continue reading "Members Of Our School Community With Severe Allergies"
Every parent and teacher wants their school to be safe and orderly. During our first PA Day last year, our staff set as a school goal to encourage students to be empathetic, reflective thinkers able to self-regulate. We believe that self-regulation is something that a child learns as he/she matures. As we move towards this goal, we ask that you support us and your child(ren) ... Continue reading "Self-regulation And School Climate"